Minecraft is a great experience, I’m sure many of you have played it (if not, go do it! At least for an hour or so!). You start off alone in this vast world with nothing, and you might be looking at the blank landscape – “Is this it? What do I do now?” until you start digging your first mine, or building your first structure. 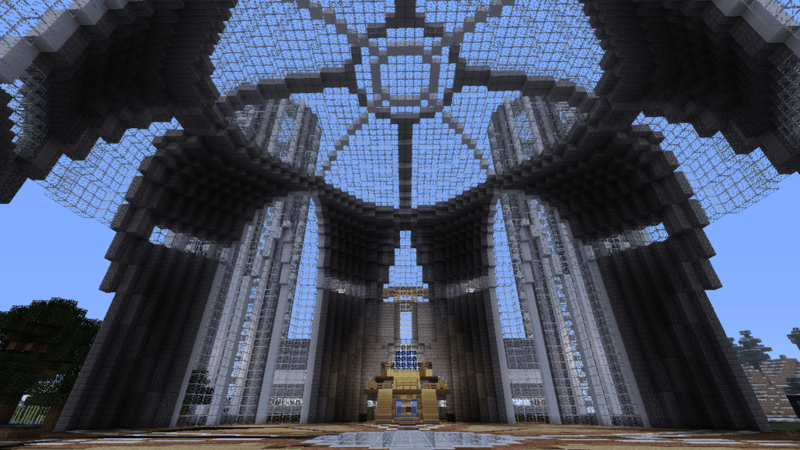 In Minecraft you can build anything, and you might have seen some pretty amazing constructions built. 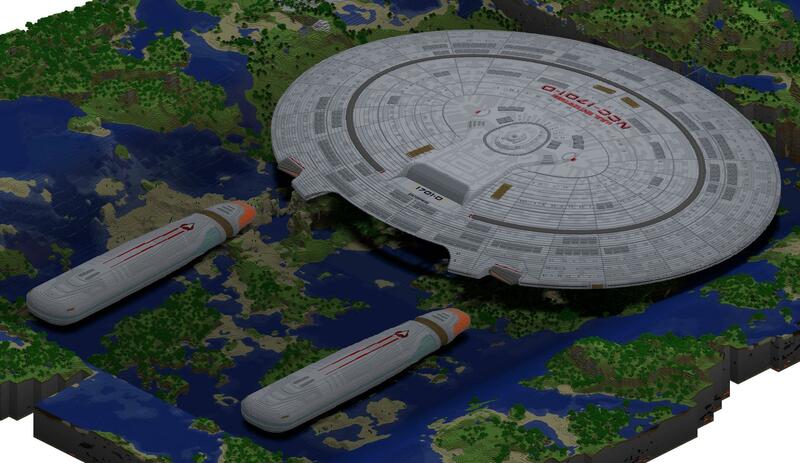 Yes, that is the USS Enterprise built in Minecraft. See, you can build anything! It’s the way that Minecraft allows you to be creative that is so great. It’s a platform, a blank canvas if you will. And after you’ve started building you might need more resources, so going on adventures to find more resources (or just exploring for fun) allows you to have fun adventures. These adventures over time build a narrative which you might even tell your friends about. So roleplaying is like playing Minecraft. At first like Minecraft you start with nothing. A literal blank canvas. Then you start writing, and constructing ideas and the world around you. In Minecraft you can see the world around you, but your role-play world you’re creating it in your head. And after a while of writing, your world becomes more solid and more real. You’re creating places in the world, places for your characters to visit – just like the places you build in Minecraft. And the visiting the places creates adventures for your characters. Your characters become more real too, and soon they’re having adventures, and you’re giving them cool things to do in the world that you didn’t think of at the beginning. All this came from nothing, just like in Minecraft it all came from your own imagination, plus a little bit of effort. If you haven’t already created your own roleplaying game on OngoingWorlds, click here to start.